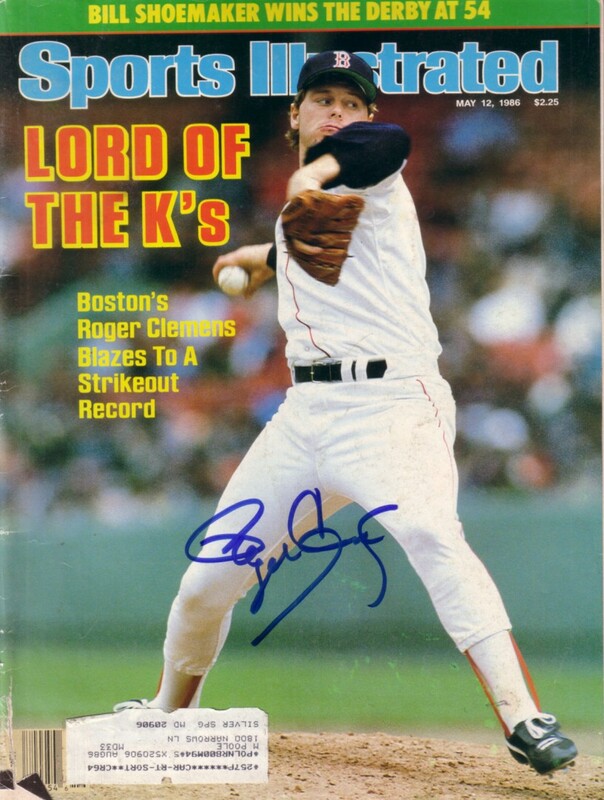 Complete May 12, 1986 issue of Sports Illustrated commemorating Roger Clemens setting the single game strikeout record (20) autographed in blue marker by the former Cy Young winner. Has moderate flaws and wear (mostly along the spine) but still suitable for framing. With certificate of authenticity from AutographsForSale.com. ONLY ONE AVAILABLE FOR SALE.